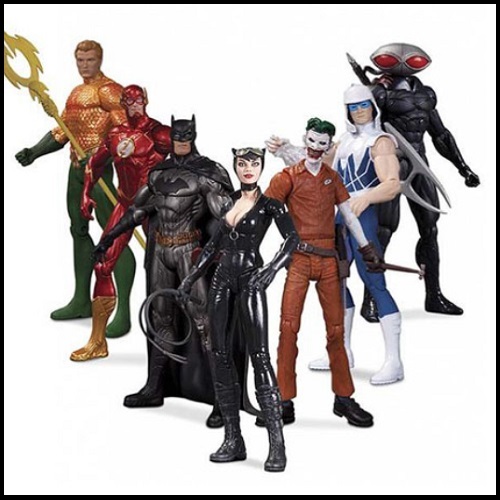 Product Detail Summary: In this 7-pack, Aquaman features an updated head sculpt and Sceptre. The Flash and Batman both come in a metallic redeco paint job. Selina Kyle, otherwise known as Catwoman also makes her debut in New 52 styling. The Joker and Captain Cold also feature updated outfits. In the outcome of good vs. bad, you end up the winner with this 7-pack box set!